The controversial method of oil and gas development behind the U.S. energy boom may pose potent risks to children and pregnant women. A Pennsylvania farmhouse sits below pipes and pumps used for hydraulic fracturing July 27, 2011. A new study links shale oil and gas development to a host of developmental and reproductive health risks, and says the processes involved – including hydraulic fracturing, or fracking – pose a particularly potent threat to what researchers called our most vulnerable population. The risks from exposure to toxic chemicals, heavy metals and radioactive materials include a parents worst nightmares: “infertility, miscarriage or spontaneous abortion, impaired fetal growth, and LBW,” the study found, referring to low birth weight. The report also sounded an alarm about possible birth defects and long-term chronic conditions the, symptoms for which may not emerge for years. 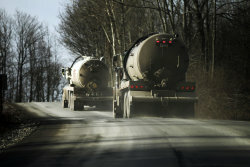 Thousands of trucks a day drive the country roads of Northeast Pennsylvania, serving the hundreds of oil and gas sites that dot the area, but also spewing noise and air pollution. 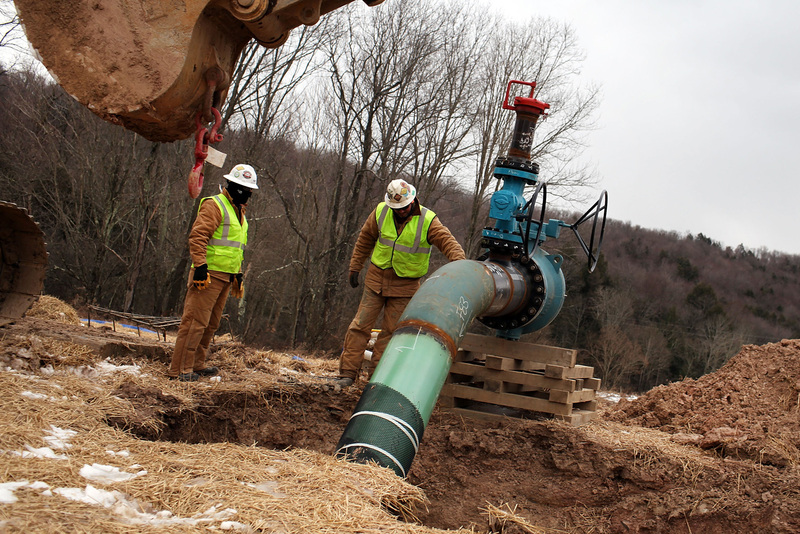 Fracking, combined with horizontal drilling, unleashed the U.S. energy boom of the past decade, opening huge reserves of oil and gas in the Northeast, Mid-Atlantic, Midwest and South – the country’s greatest reserves of oil and gas in 38 years. The fracking process uses huge quantities of water, chemicals and sand to crack apart oil and gas deposits, which are then forced to the surface. The method has proved hugely profitable for fracking and oil services companies, as well as provided thousands of jobs in boom towns like Williston, North Dakota. Oil and gasoline prices are at their lowest point in four years, which in turn has reduced costs associated with manufacturing, power generation and transportation. And yet, studies also have found that shale oil and gas development can prove poisonous, releasing potent toxins into the air and water around fracking, drilling, well, flaring and compression sites. The toxins include volatile organic compounds like benzene, toluene, ethylbenzene, xylene and formaldehyde, as well as heavy metals like cadmium and lead and certain naturally occurring radioactive materials. Webb, Bushkin-Bedient and four co-authors studied more than 150 papers from 1970 to 2014 that analyzed those compounds and metals, looking at how they affect humans as well as animals. Some of the studies were done in labs, others in nature and a few by local residents who collected the data themselves. One study published in April, for example, found a higher rate of birth defects within 10 miles of natural gas wells in rural Colorado, most notably congenital heart and neural tube defects – both of which can occur from maternal exposure to benzene. Men work on a natural gas valve at a Pennsylvania fracking site in January 2012. Another 2002 paper found that women who were exposed to toluene had unusual menstrual cycles and were unable to conceive. And still other studies discovered some of the chemicals were apparent endocrine disrupters that can dismantle hormone functions. The studies corroborate other efforts, including one study published in September by researchers from Yale University and the University of Washington that found residents within a kilometer of a well had up to twice the number of health problems as those living at least 2 kilometers away. Spokeswoman Katie Brown, writing on the trade group’s blog, cited in the industrys defense a 2011 Colorado Department of Public Health and Environment report – an analysis that Carpenter and public health expert Alisa Rich, an assistant professor at the University of North Texas, each dismissed as “nonsense.” The study’s research method, Rich adds, was one that had also been used by the Texas Commission on Environmental Quality. The American Petroleum Institute, the oil and gas industrys main lobbying organization, and Americas Natural Gas Alliance, a trade group representing independent natural gas exploration and production companies, both referred questions to Energy in Depth, which rejected the studys findings. Webb emphasizes she and her team “are not yet able to make a direct cause-and-effect relationship between a specific chemical and a specific health outcome, saying more research is needed. Anti-fracking demonstrators protest on the steps of the Pennsylvania state capitol in Harrisburg on May 6. 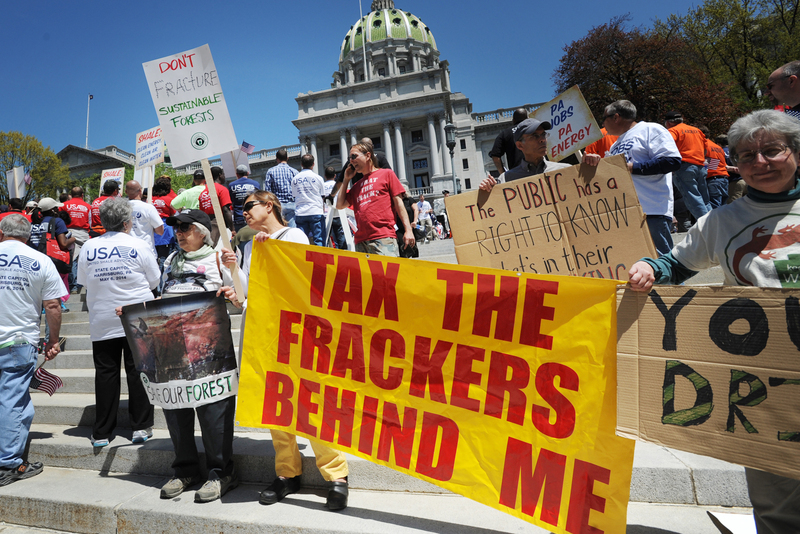 Part of the challenge lies in federal loopholes: A law passed in 2005 that includes whats commonly known as the “Halliburton loophole” exempts shale oil and gas companies from federal regulations involving the monitoring and disclosure of fracking chemicals. “Given the lack of study and understanding of all the chemicals that are being used, we can’t know the extent of the risks,” Webb says. Yet, she adds, the research is mounting. And residents who live near shale oil and gas operations, she adds, aren’t exposed to just one or two substances – they absorb many at once, through the air or water or both. 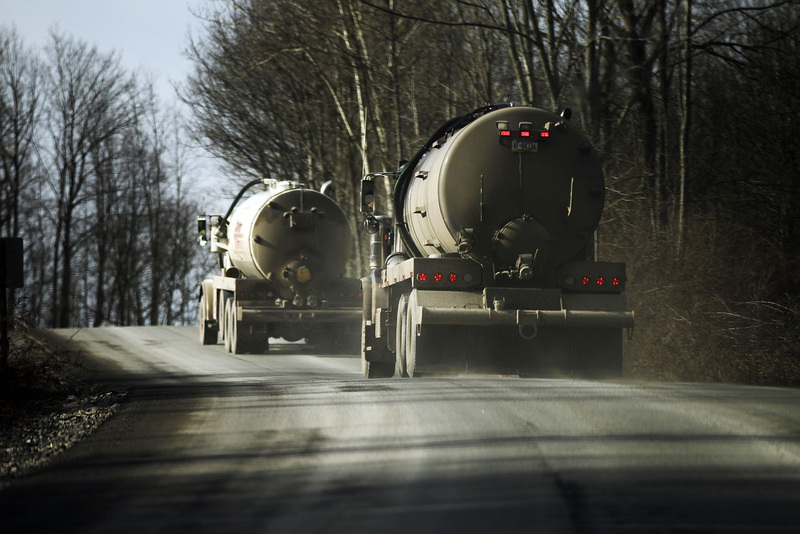 Moreover, many of those who still live near shale oil and gas sites lack the money to move away, leaving them few options for reducing their exposure to toxins. Webb and Bushkin-Bedient avoided making any specific policy prescriptions, but they did emphasize two points. People really near unconventional oil and gas and fracking sites and those who work in the fracking industry have the right to know the chemicals that are being used that may pose health threats, especially to vulnerable populations like women and children, Webb says. More studies need to be done, and biomonitoring needs to be done, assessing the body burden of chemicals.